Kashrut violations- the mashgiach for Kehillot splitting the same piece of meat into Badatz Beit Yosef (Atara) and Kehillot, grinding both hashgachot together and selling it as Atara, the worker adding holograms to packages of meat without instruction from the mashgiach. Badatz Beit Yosef’s response was that they do not have a mashgiach on the premises of Osher Ad. Therefore, any meat that is sold in Osher Ad under Atara is prepared and supervised in a different place and brought to Osher Ad already packaged with a hologram. In the video, however, a worker actually put holograms on packages of meat that were prepared in the store with an Atara label. The videos that have recently been published are staged. There is no connection between what you see in the video and the narration that accompanies and interprets it. The chain promises always and forever to stand by our promise to the consumer to provide low prices, the highest kashrut and quality standards. That is how we have acted and that is how we will continue to act. What do you think? I personally have never been in an Osher Ad but I know a lot of readers are- does the video tell the truth? The votes on Osher Ad’s Facebook page are 50% positive and 50% negative right now. Misrad HaChaklaut announced today that during a routine test of eggs imported from Turkey, they discovered pesticide residues of an amount that is above the legal limit in Israel. 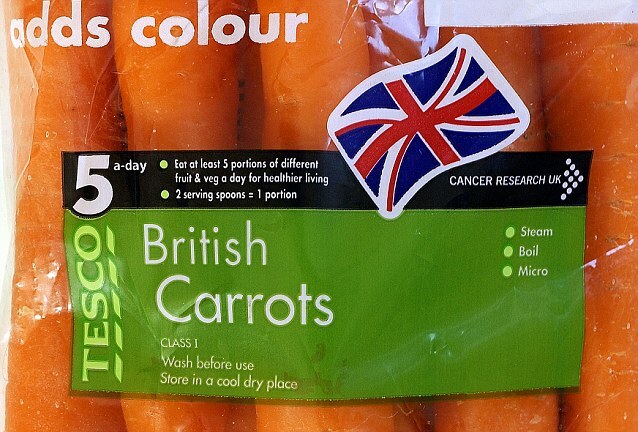 As a result of this, all imports from that region will be tested for pesticide residues before being released for sale. 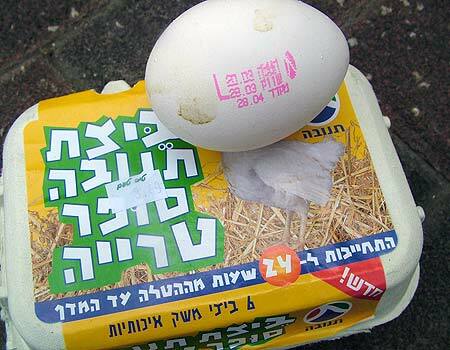 Did you know that Israel produces 2 billion eggs a year, and that is still not enough to supply the Israeli public? Israel therefore has to import approximately 150 million eggs a year, especially around Pesach and Rosh HaShanah. For comparison, the United States produces 75 billion eggs per year and Australia produces 392 million dozen. To date, eggs are imported into Israel from Turkey, Spain, and the Netherlands. The Misrad HaChaklaut article doesn’t say what pesticide residue was found or whether this has happened before. It also doesn’t say what happened to the contaminated eggs- there hasn’t been a recall, so where did they go? Where they held until the test results came back or did we eat those eggs? Not a pleasant thought. They also reminded us of the media storm surrounding the importing of eggs from Turkey in 2012 because in Turkey there is no requirement to vaccinate their chickens for Salmonella, as there is in Israel. At the same time, a study came out in the Poultry Science journal which showed an incidence of 60% Salmonella positive flocks in Turkey, 70% of which being Salmonella Enteritidis, a particularly pathogenic strain of Salmonella that caused a recall of approximately 500 million eggs in the United States in 2010. Because of this information, pressure was put on Misrad HaChaklaut to enforce the decades-old law which requires egg sorting stations to label which country eggs are produced in. I finally got my Rami Levy credit card in the mail this week with some pretty awesome coupons so I decided to break it in and do some Purim shopping. These are the coupons I received- how about you? 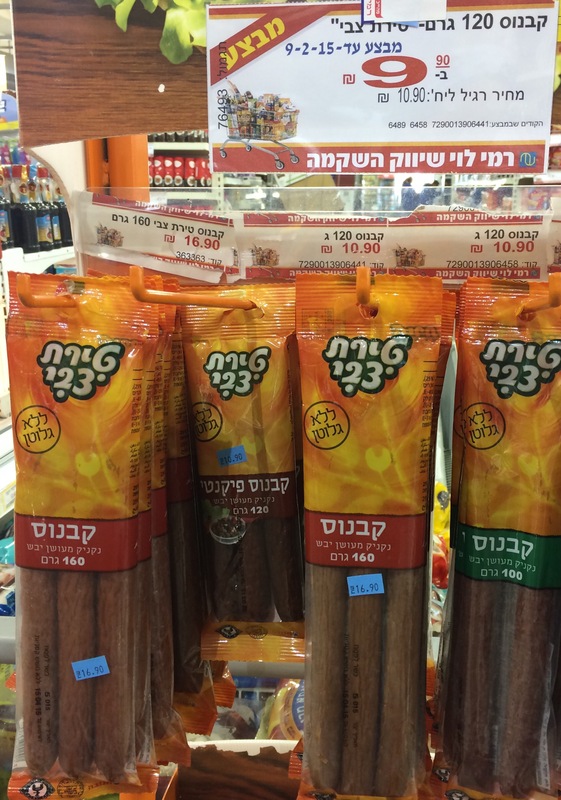 While I was in the store, I did notice some attractive products for Purim (8 Elite chocolate bars for 32 shekels for example), what really got me excited was their sales on KLP products. 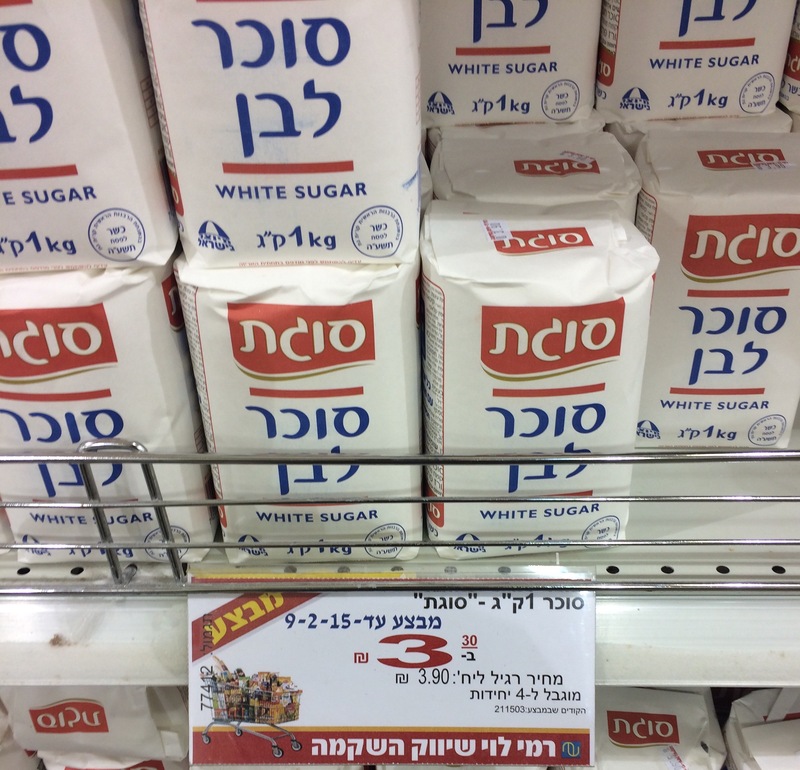 This also wasn’t on sale but it reminds me to make an important point- if you are shopping for Pesach, make sure each product has KLP certification on it! You don’t wan’t to put away a product for no reason. All of these products have no kitniyot. So if you have some free time today, go to Rami Levy and get your Pesach shopping started! Two class action lawsuits have been settled today against Strauss, stating that they cannot label Milky as “chocolate” if the ingredients do not include chocolate as defined by Israeli Standard 36. 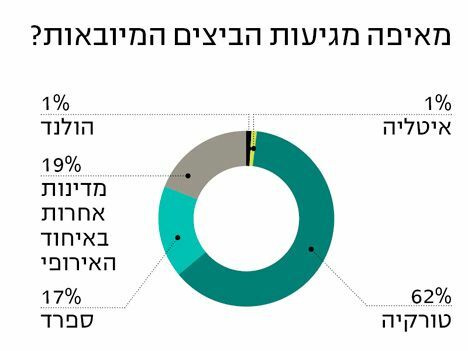 According to Israeli Standard 1145, if the name of a food “shows off”a certain ingredient or if there is a picture of that ingredient, the manufacturer must list the percentage of that ingredient in the list of ingredients. 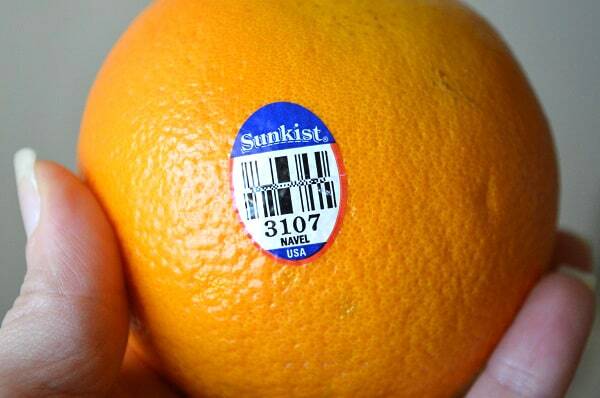 In addition, the Standard says that the name of a food must be accurate and able to be proven. Therefore only if there is chocolate as defined by the Israeli Standard in the ingredients can you write that the product has chocolate in it. 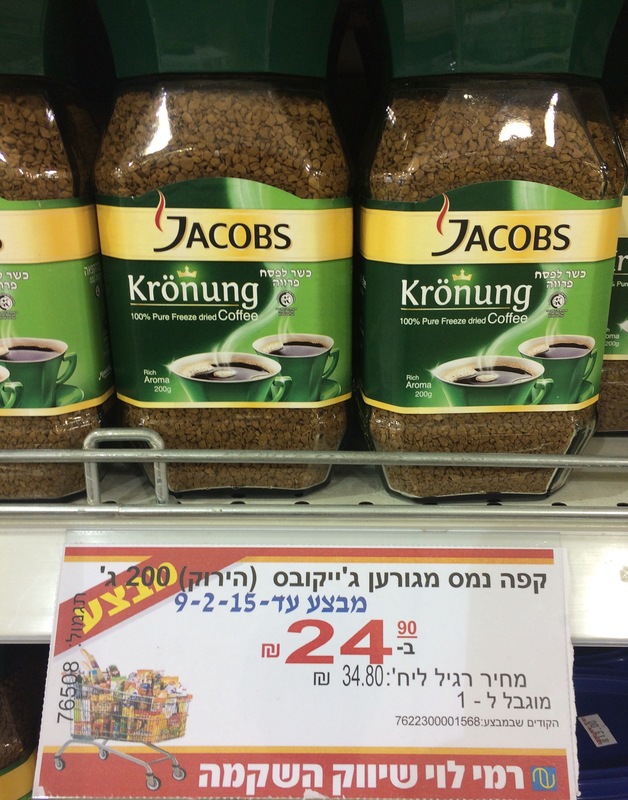 Otherwise you have to write “chocolate flavor-בטעם שוקולד”. As you can see, it does says b’taam shokolad, but only under the large words “Shokolad”. Here there is no gigantic “Shokolad”,only the words “b’taam shokolad” the same size as the rest of the labeling. 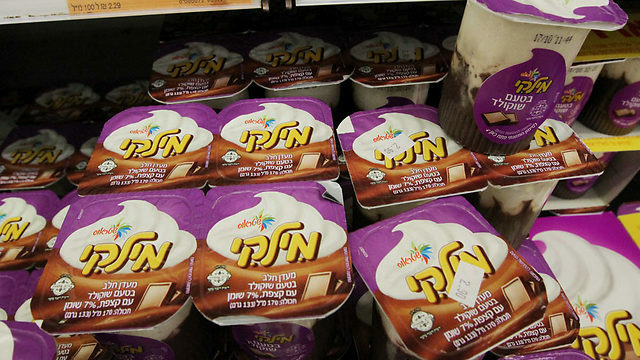 Strauss’s punishment from the court was having to change the label and to donate 300,000 shekels worth of dairy products to charitable organizations- specifically HaEmek hospital or an equivalent organization that has no previous connection with Strauss. Wait- that isn’t Hershey’s CHOCOLATE syrup, it is Hershey’s syrup with “genuine chocolate flavor”. So Israel apparently isn’t the only country who distinguishes between real chocolate and chocolate flavor. The “punishment” as it is ends up being relatively free advertising for the Strauss so I don’t think they will be too distressed over this verdict. 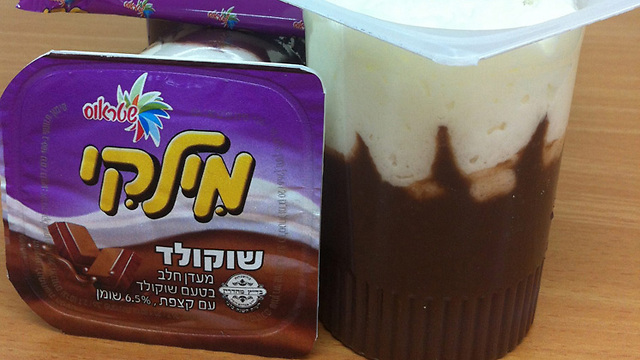 In other frivolous chocolate lawsuit news, a court ruled that Osem, General Mills, Vita, and Maimons can still call their product “kadoorei shokolad- כדורי שוקולד” and not “kadoorim b’taam shokolad- כדורים בטעם שוקולד”. Thank goodness for that! Is this place for real??? If you saw a food product that is suspicious for whatever reason or if you would like to know if a food manufacturer or caterer has a manufacturers’ license from Misrad Habriut, click on this link to look up the manufacturer. You can also find out what products they are licensed to manufacture. Meatland in Raanana has a license to manufacture refrigerated and frozen prepared foods and frozen dough to be sold on the premises only. 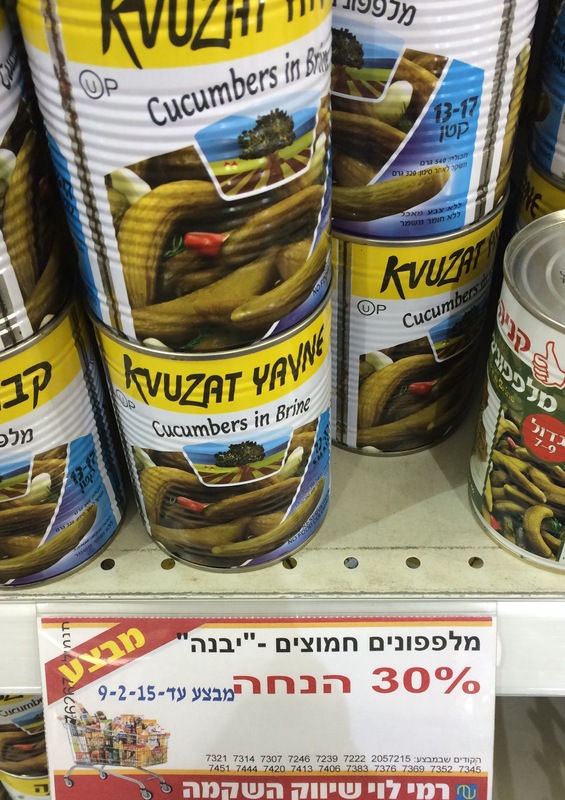 Kibbutz Shalavim’s kitchen has a license to manufacture prepared foods to be sold off the premises (e.g. a catering hall). What does it mean if the food business you are looking up is not on the list? First of all, you should know that restaurants, supermarkets, and food stands do not get a manufacturers’ license from Misrad HaBriut- they get a business licence from the municipality they are located in. If you still think the business should be on the list and is not, contact your district health office through the link on the page or the central line at *5400. Another important point to make is that caterers that provide food to educational institutions must have a manufacturers license. Find out who caters the hot meals in your child’s school/gan/tzaharon and make sure they have an up to date license. The requirement is not applicable for private educational facilities and food that is not brought into the school by the school (e.g. vaad horim), but is a minimum standard that you should insist upon. The section that applies to catering is titled “מזון מוכן להגשה מחוץ למקום הכנתו – הסעדה (קייטרינג) כריכים”. 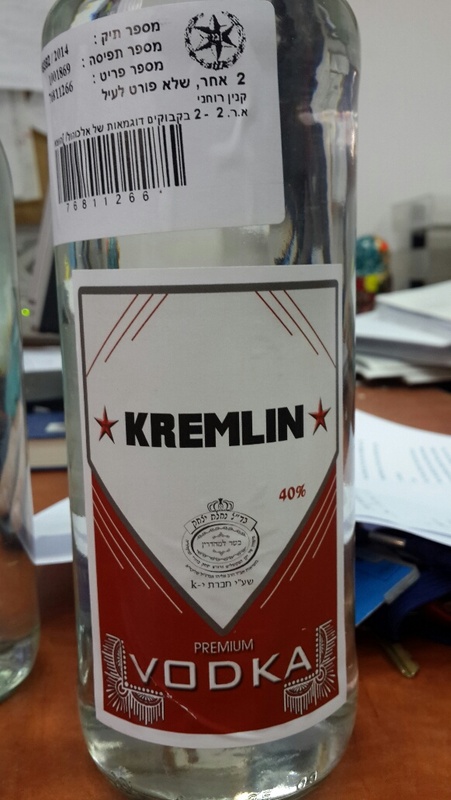 Bottles of “Vodka Kremlin” and “Nasich HaArak” that were confiscated by police were tested by Misrad HaBriut and was found to have 523 – 533 times the legal amount of methanol in them. 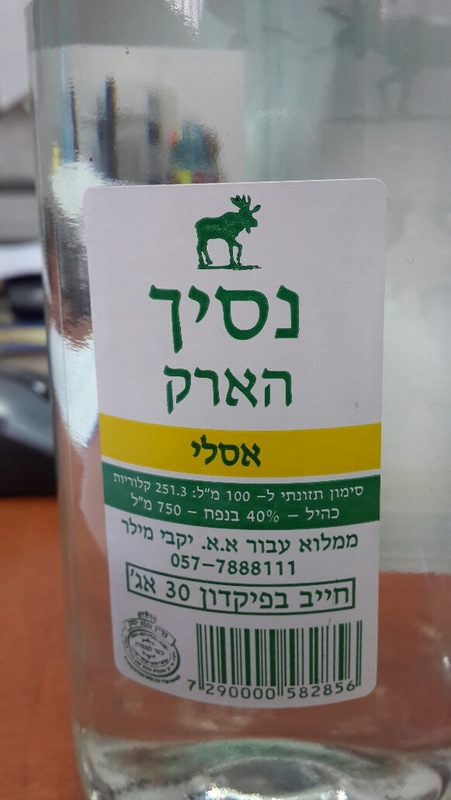 The arak is suspected to be a forgery because of various misspellings such as the word “ערק” which is spelled “ארק” and the word “ממולא” which is spelled “ממלוא”. The permitted amount of methanol in vodka and arak according to Israeli Standard 1572 is 10 grams per 100 liters ethanol. Drinking excessive amounts of methanol can lead to blindness and even death. Methanol poisoning is expressed as dizziness, confusion, weakness, headaches, vomiting, stomachaches, and convulsions. Misrad HaBriut is calling on the public not to drink these products because they are a danger to public health. If needed, you can report to the moked at *5400 or the Department of Enforcement in Misrad HaBriut at 02-6551797, 02-6551772 or email modin@eliav.health.gov.il.